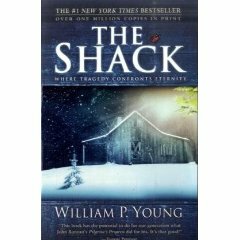 The Shack by William P. Young – It's Time to Read! Mackenzie Allen Philips’ youngest daughter, Missy, has been abducted during a family vacation and evidence that she may have been brutally murdered is found in an abandoned shack deep in the Oregon wilderness. Four years later in the midst of his great sadness, Mack receives a suspicious note, apparently from God, inviting him back to that shack for a weekend. Against his better judgement he arrives at the shack on a wintry afternoon and walks back into his darkest nightmare. What he finds there will change Mack’s world forever. In a world where religion seems to grow increasingly irrelevant THE SHACK wrestles with the timeless question, ‘Where is God in a world so filled with unspeakable pain?’ The answers Mack gets will astound you and perhaps transform you as much as it did him. You’ll want everyone you know to read this book! Well, what a brave thing to do, and a very unique way of portraying the Gospel message. This is a deep book, which I think I’m going to have to read again. The story follows Mack, who experiences a horrendous event in his life when his daughter is abducted, presumed murdered. With sadness and guilt all around, Mack struggles through life, wondering about God and His role to play in all this. When Mack heads back to the shack he has a truely amazing experience with God, and he receives many answers from God. Well, I loved it. I was gripped right from the start. I loved how God was portrayed and the way the Christian message is written. I thought there were a lot of unexpected answers to these seemingly impossible questions, such as “where is God in suffering”? But Young addresses these questions and gives very clear answers. I guess the only problem was there is so much to take in, but I am looking forward to reading it again. This book has made me want to enter a deeper relationship with God. I think people will find this book completely unrealistic and not be satisfied with God or the answers Young gives in this book, and that is a shame. I think people need to read this book with an open mind and think about what has been written before forming an opinion on the book. I thoroughly enjoyed this book, what a good read.